More and more, it seems, as Pope Francis’ visit to the US approaches–and beyond–“Climate Change” and “Saving Planet Earth” are being touted as central reasons for uniting internationally to take drastic measures to “end poverty” and engage in “sustainable development.””Sustainable development” in particular sounds particularly savory to the educated masses–don’t we all want to harvest those Brazil-nuts in a “sustainable” way, while saving the rainforest? Savvy news-watchers and analysts are aware though that these are buzzwords with a hidden agenda. Agenda 21 has apparently morphed into Agenda 2030–and isn’t it interesting it’s openly labelled as an “Agenda”? What is Agenda 2030/Agenda 21? Agenda 2030, like Agenda 21, is apparently a global corporate plan to establish a worldwide totalitarian form of government–using Full-Spectrum Surveillance and Tracking (using intimate biometrics), Top-Down Population Management (enforced birth control), Food Management (rationing, GMOs), Water Management (corporate takeover of all water), Child Management (Common Core, community schooling), Health Management (mandatory vaccinations, mandatory drugs), Labor Management (a centralized work economy/forced labor), Property & Urban Management (no individual property ownership/stacked housing)–and other such treats–all being marketed to us as necessary, meaningful, and “sustainable” practices in the interests of (those buzzwords again) “ending poverty,” “sharing resources equitably,” “preventing disease,” and other carefully-branded misnomers. and other more covert aspects of control the globalists engage in, all with the goal apparently of destabilizing, distressing, and controlling populations worldwide. On the subject of hidden aspects, there is also the subject of Disclosure, which is becoming increasingly difficult for governments worldwide to avoid. UFOs are being witnessed globally today by people on an amazingly increasing count, all over the world, in both remote and populous places–see for instance this video reporting sightings in Atlanta on 9/14. And (some very credible) websites and talkshows and podcasts abound, reporting contact with groups of benevolent ETs, reporting Secret Space Programs run by the US and other nations, reporting all sorts of information about benevolent ETs versus not-so-friendly ETS–including AI (Artificial Intelligence) ETs, ETS in whose secret control our most crazed global leaders are, plans to “harvest humanity” using nanotechnology/transhumanism/AI–as well as emerging histories of a long-standing ET presence on this planet, a long-standing colonizing of humans, and a long-standing corruption of human history and religion by our “global elite” to erase and manipulate the historic ET factor in our understandings. 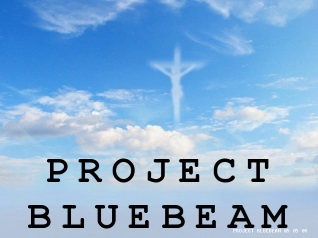 Project Bluebeam, a One-World plan to holographically project diverse images of gods and prophets, along with possibly using the quite-extant and currently-being-experimented-with Voice of God (synthetic telepathy/Voice to Skull/voice in head) EMF weapon (which thousands of people globally report as currently being used on them), therefore seems to go hand in hand with Agenda 2030/Agenda 21. In tandem with imposing global totalitarianism, the plan apparently is to–in one fell swoop–engage in some form of Disclosure–“reveal” (in controlled form) the presence of and human interaction with ETs, and inform all concerned (worldwide!) that all human religions, all human conceptions of God, etc. are bogus/corrupt/manipulated, while unveiling some form of new religion–possibly centered on saving Earth, possibly centered on pursuing Light (as in Luciferian interpretations)–that all of humanity (worldwide!) can automatically switch allegiance to. This plan, some suggest, is behind the Pope’s suddenly being granted front-row-seat in world affairs, as he undertakes his new mission of addressing the US Congress and the United Nations. In most benevolent fashion, perhaps, to “introduce” us to the concept of ETs and a new One-World-Religion to cling to. I’m sure we all want to save the Earth, Nature, and all of Humanity but we would be seriously betraying our own base intelligence, awareness, and humanity to fall for any of this–which is using Planet Earth/Nature as a gigantic facade for a supremely sinister agenda of Total Control. I hope to continue pursuing this subject here, and will post articles and videos on this subject as I find them. As also any articles or videos offering guidance on what we can do, each of us, today, to stop the implementation of this ridiculous agenda–also please search “how to stop Agenda 2030”. I have infinite faith in the diversity and individuality of humankind to create a far more palatable –and infinitely peaceful and harmonious–destiny for Earth and all of us, but we seem to be at a supreme crossroads here: permitting the suppression of all sovereignty, individuality, intelligence, humanity via technologically-imposed totalitarian “governance,” or standing up in clarity to expose its evil and to unequivocally withhold consent. 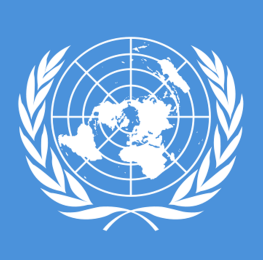 This entry was posted in Agenda 2030, Agenda 21, Depopulation Agendas, Global Governance, One World Government, Ultimate End Game 101 and tagged Agenda 2030, Agenda 21, Disclosure, Disclosure Project Bluebeam, Global Governance, One World Government, Ultimate End Game101, United Nations, Vatican. Bookmark the permalink.